Yes, it’s been 3 years since LiG came into existence. Time really has flown by in last 2 years. Lot of things have changed, grown into bigger and better, some have been discarded with time. And here we are, 3 years and going strong. I started LiG as a surprise 5th anniversary gift for V. So with blogversary we celebrate our anniversary too. I used the chocolate base which has been a hit in my family from Eggless Chocolate Truffle Cake. Soaked it in simple coffee syrup & frosted with whipped cream mixed with some coffee. Topped it with some chocolate curls. In other news, life is going on chug-chug. I absolutely loved it. V as usual enjoyed every bite of it. Every bite was full of decadence, flavour and rich. 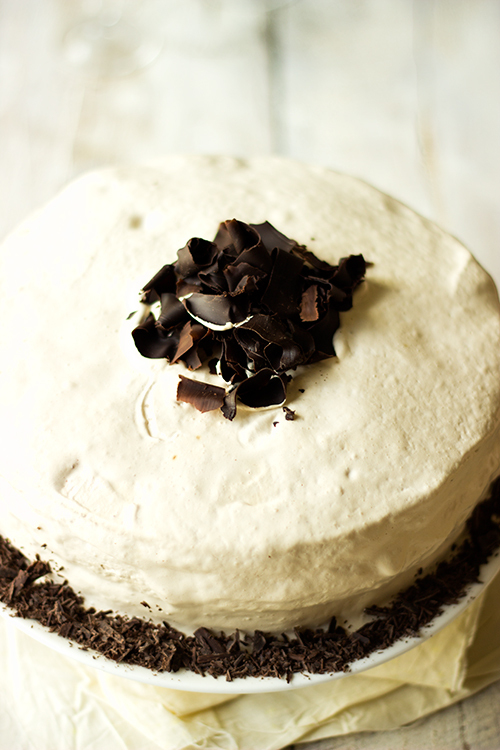 Eggless Chocolate Coffee Mocha Layered Cake for a special occasion. It is very easy to whip up using everyday ingredients and no special instruction. 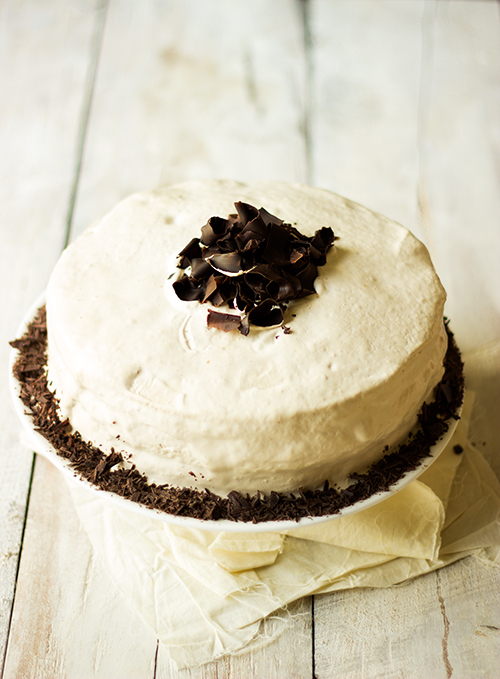 The base cake is perfect to be paired any topping or filling of your choice. Mix all the ingredients together and boil for few minutes. Allow to cool. Whip the cream along with coffee for 5-10 minutes till it forms stiff peaks. Place the first layer of cake on a platter, lightly brush it with coffee syrup. Spread 1/4 cup cream on top of it. Place the second layer and repeat with syrup and cream. Now place the third layer and brush with syrup. Do a crumb coat. Keep it in freezer for 15 minutes and allow the coat to firm up. 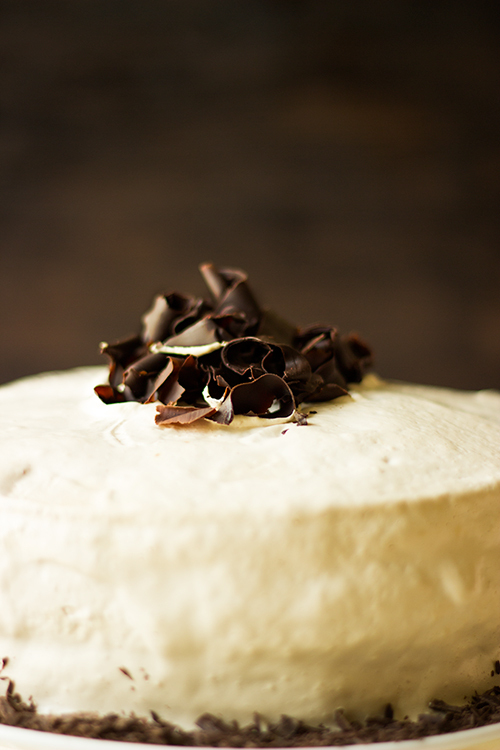 Spread the remaining frosting and decorate with chocolate shavings. You can use any cake of your choice and opt for only 2 layers of cake. 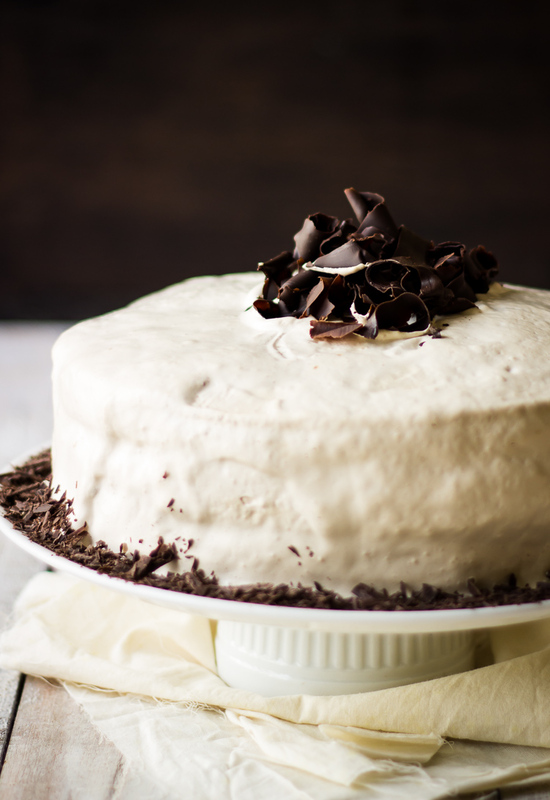 You can pair this cake with filling & frosting of your choice. If using dairy cream for whipping, add powdered sugar to add sweetness. For ease of assembly, it is best to allow the frosting coats to set partially in freezer for 15-20 minutes. Sending these to Bake Fest #31, an event originally started by Vardhini.